Hello there. Before I begin I think I should say a little about myself. I am a 20 year old girl living in Ottawa, Canada. 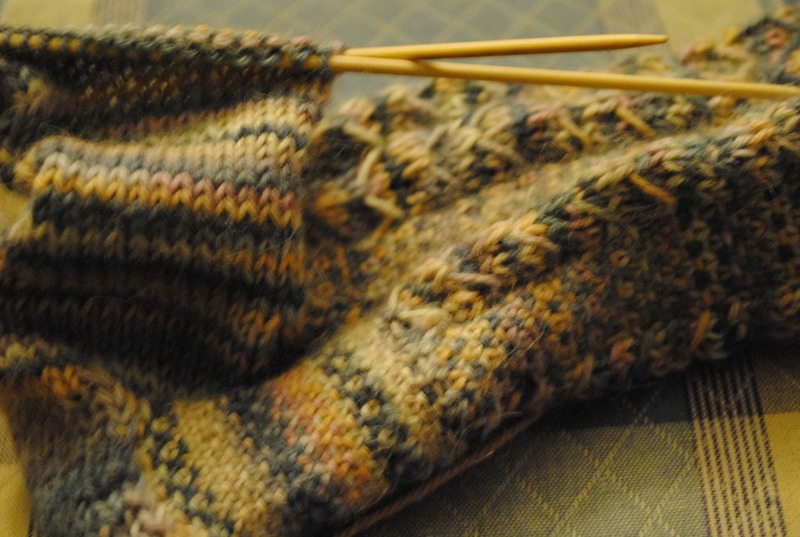 I have been knitting since I was about 13 and consider myself ‘adventurous’ when it comes down to it. 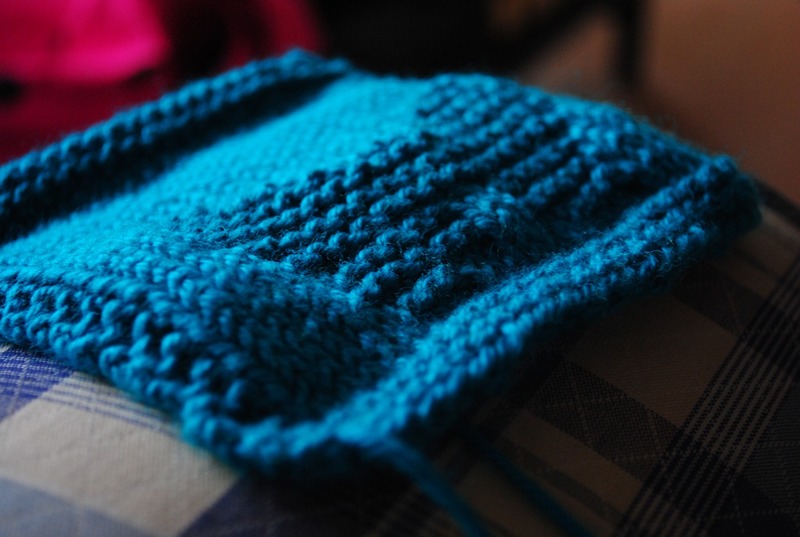 I love to try new techniques and I actually taught myself how to knit so I’m not afraid to search for the answers. I love to create and always am either cooking, writing, knitting, sewing, painting, or doing some other sort of creative hobby. I took about a year off of knitting and just recently came back to it. I will post about some of my recent creations later on. I am writing this blog to share my creative side! I also love photography so it is the perfect fit. You can find me on ravelry here. The true color is somewhere between the two photos. This is Cascade 220 superwash. 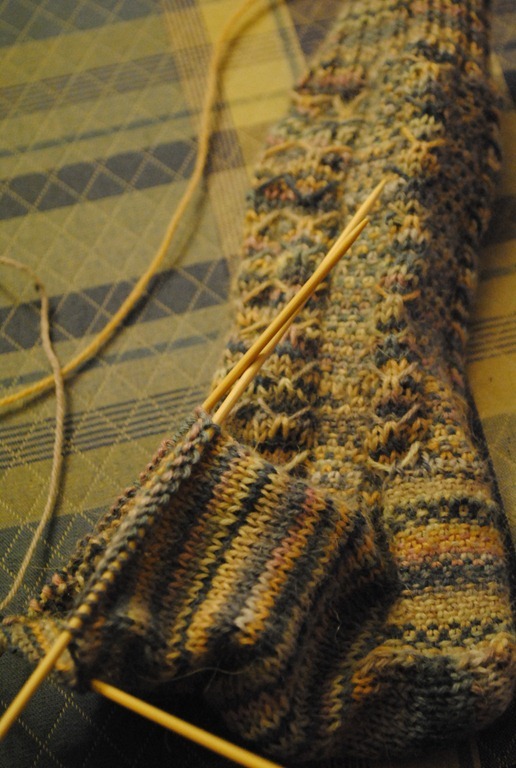 I’m also knitting edwardian boating socks for my mom for christmas. 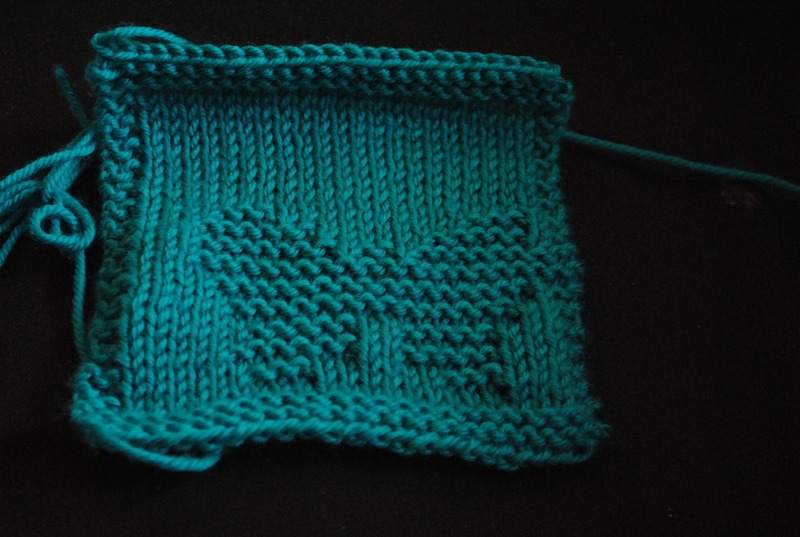 I am knitting them in misti alpaca which is SO incredibly soft. This is my second pair of socks ever…to me they look like art. I can’t believe my hands are making them. Finally, I made my first hexipuff for the bee keepers quilt. I also bought 18? 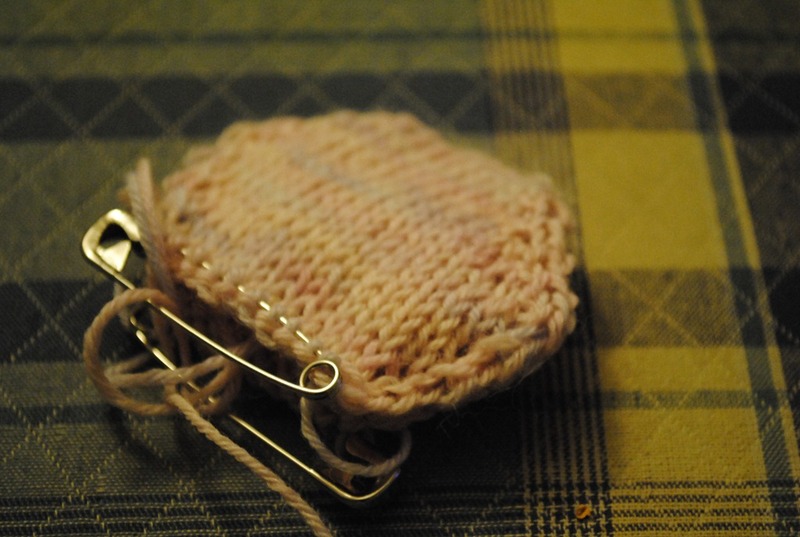 mini skeins of sock yarn in pink and wintery colors. Hehe. Oops. This one is knit in arequipa on size 4 bamboo needles. I purchased 150 safety pins for 5 bucks so I can sew in all the ends after I puff them up. I live in a small apartment and I don’t want to purchase stuffing until I am going to use it. I plan to cut pieces of quilting stuffing for only slightly puffed up hexapuffs. I will keep you updated!